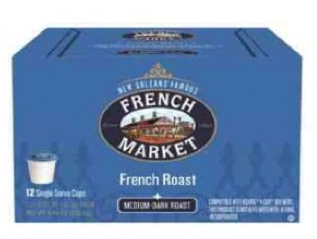 French Market French Roast is specially ground to release deep, rich flavors and served in New Orleans finest restaurants for over 100 y ears. Single serve cups are airtight for a fresh taste every time. It's only natural that French Market would offer a French Roast Blend. French Market French Roast is a medium-dark roast coffee that provides a deep, bold and smooth flavor in every sip!